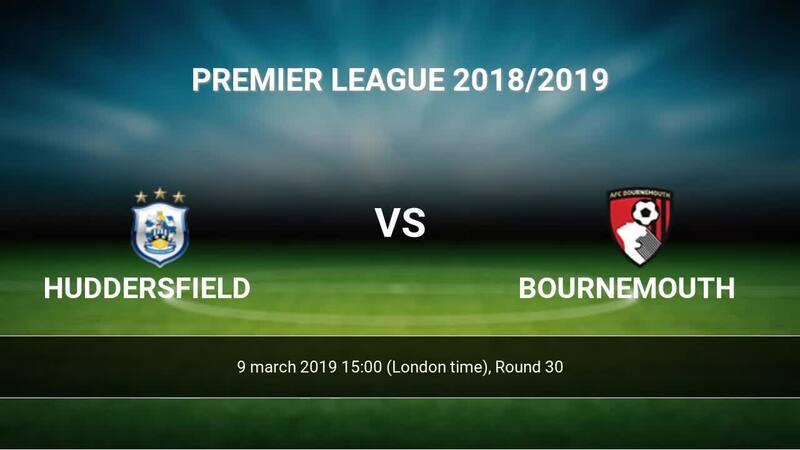 Kick off Huddersfield-Bournemouth in Premier League on today 15:00. Referee in the match will be Anthony Taylor. Team Huddersfield is in the releagtion zone of the table. 20 position. Huddersfield in 5 last matches (league + cup) have collected3 points. Players Huddersfield in Premier League with the highest number of goals: Mathias Joergensen 3 goals, Steve Mounie 2 goals, Aaron Mooy 2 goals. Players Mathias Joergensen 1 assists, Steve Mounie 3 assists will have to be very well guarded by defenders Bournemouth, because they have the most assists. Injuries in the team Huddersfield: Jonathan Hogg, Adama Diakhaby, Isaac Mbenza, Daniel Williams, Demeaco Duhaney. Team Bournemouth is located in the middle of the table. (12 place). Form team looks like this: In the last 5 matches (league + cup) gain 1 points. Bournemouth from 9 matches away can not beat any rival. To defend Huddersfield the most demanding players will be Callum Wilson 10 goals, Joshua King 9 goals, David Brooks 6 goals, because this season they scored the most goals for Bournemouth of the entire composition. Most goals developed: Callum Wilson 5 assists, Joshua King 3 assists, David Brooks 4 assists. Injuries in the team Bournemouth: Simon Francis, Steve Cook, Lewis Cook, Junior Stanislas. Direct matches: Huddersfield won more direct matches. 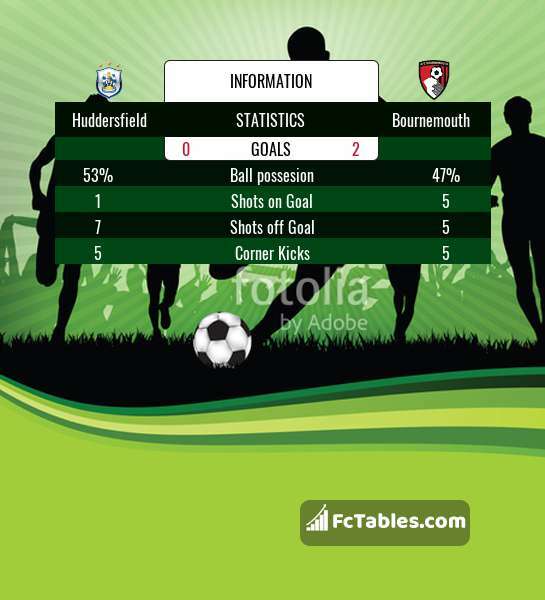 Huddersfield won 8 matches , Bournemouth won 6 direct matches, was a 9 draws. In 14 matches the sum of the goals both teams was greater than 2.5 (Over 2.5), and 19 matches teams scored more than 1.5 goals (Over 1.5). In 16 matches the both teams scored a least one goal (Both teams to score).